Fisher-people in and around Auckland are going to have to reduce their snapper catch in the near future if there are to be fish left for future generations. The proposed changes may involve reducing the daily bag limit from 9 to 3 or increasing the minimum size from 27cm to 35cm. This is in an attempt to rebuild the fish stocks in the Snapper 1 Fishery area, running from the top of East Northland to the Bay of Plenty. 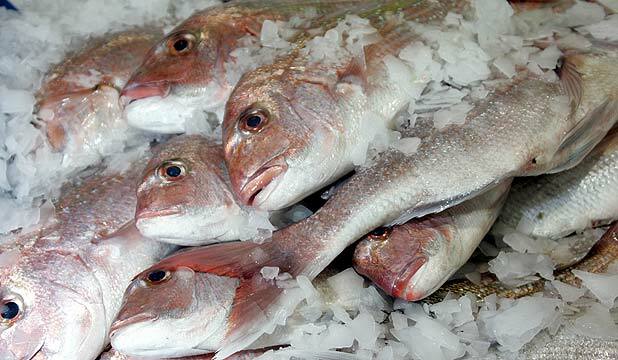 The Ministry of Primary Industries says it is recreational fishers who are pushing the number of snapper into danger – since 1997 recreational fishers in the area have been allowed to take 2550 tonnes. But on average for the last five years the recreational catch has been well over the limit, estimated at 3365 tonnes a year. Clearly those who enjoy recreational fishing are not happy with this news. ITM Fishing Show host Matt Watson said it was not over-dramatic to say the social consequences could be “life changing”. “I think the value of our lifestyle in New Zealand is at stake here,” he said. However the question needs to be asked; “why is our lifestyle in New Zealand at stake?”. Why has the recreational catch been well over the limit for the past five years? There are only three possible reasons that come to mind. The first is that the number of recreational fisher-people has remained the same but they fishing more are getting much better at catching fish due to improved technology etc and are therefore catching more fish. Alternatively, the number of fisher-people is increasing and as a whole they are catching more fish. Or finally it is a combination of the two afore-mentioned reasons. The Snapper 1 Fishery area also happens to be located in the area of highest population growth. In 1997 the Auckland Region had a population of around 1.1 million. The region is now home to about 1.5 million. This equates to population growth of 36% in that time period. The increase in the recreational fish catch from the allowed 2550 tonnes to the current average of 3365 equates to a 31% increase. If the lower population growth rate of Waikato and Bay of Plenty is taken into account, the population growth is almost identical to the increase in recreational fish catch. The above data lends support to the possibility that the number of fisher-people is increasing and as a whole they are catching more fish and this is why the recreational catch has been so high in recent years. Finally, the hard question asked by Matt Watson; “why is our lifestyle in New Zealand at stake?” Could it be that population growth is putting our lifestyle at stake? Hunting and gathering ceases to be possible when there are too many other hunter-gatherers competing for a fixed resource. In the same way as our ancestors in Asia or Europe ran out of wild food to sustain them and had to turn to farming and agriculture to feed their ever-expanding population, so too we, in New Zealand, may have to adjust our lifestyle if we want the perceived benefits that a growing population may bring.